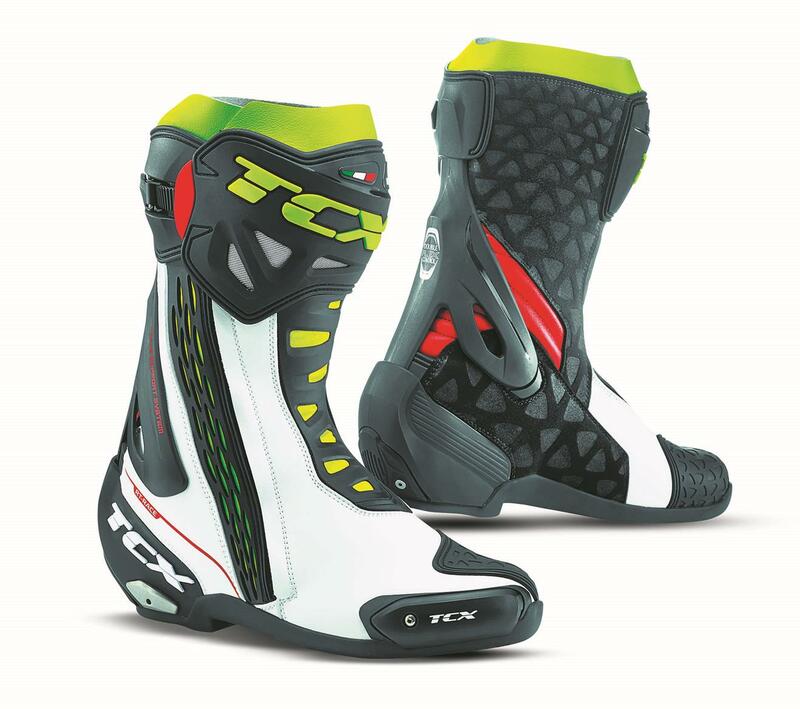 These new sport boots from TCX feature an internal lacing system, similar to the Alpinestars Supertech R, for added fit and protection. The RT Race boots (costing £299.99) use TCX's Double Flex Control (DCS) system which allows the foot to naturally flex forwards and backwards but prevents any twisting of the ankle which could cause injury. The same system is also designed to absorb impacts and sliders on the rear and sides stop the boot catching in the event of a fall. An Air Tech lining is used to keep the boots breathable and avoid sweaty feet. There's also a waterproof version which costs £249.99. Find more info on these boots here www.tcxboots.com/www.nevis.uk.com.